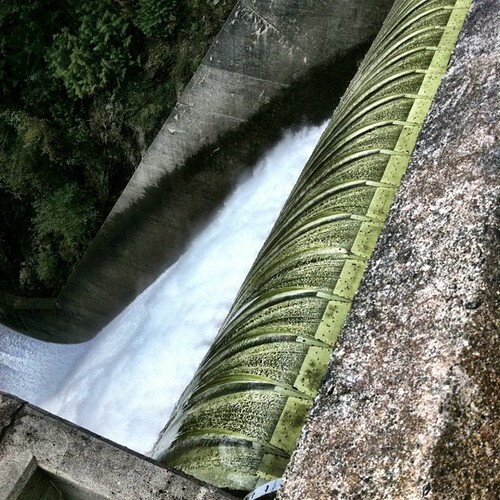 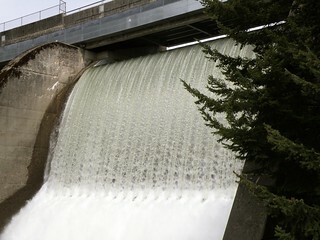 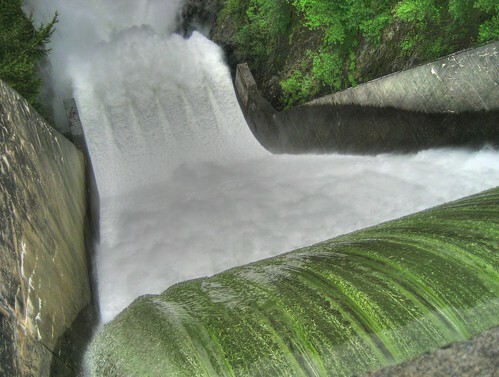 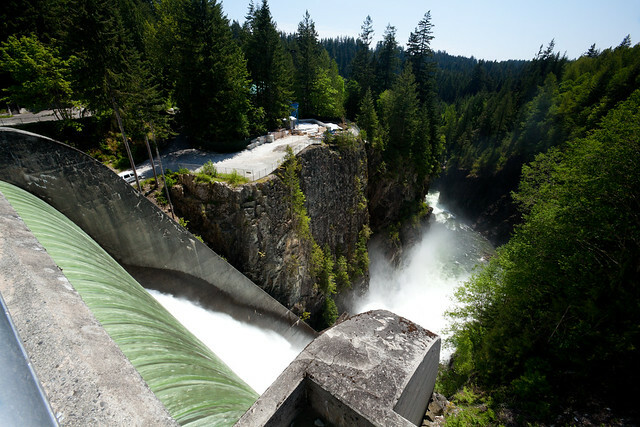 The Cleveland Dam holds Capilano Lake in North Vancouver, which is used for drinking water and is a part of Capilano River Regional Park. 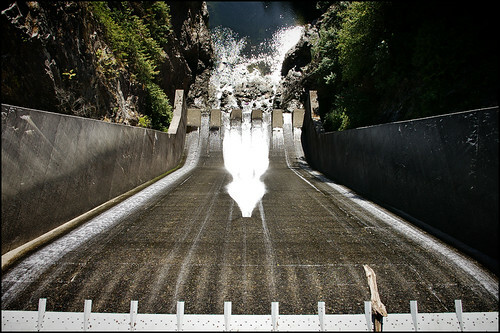 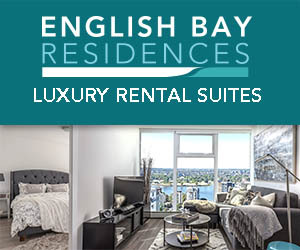 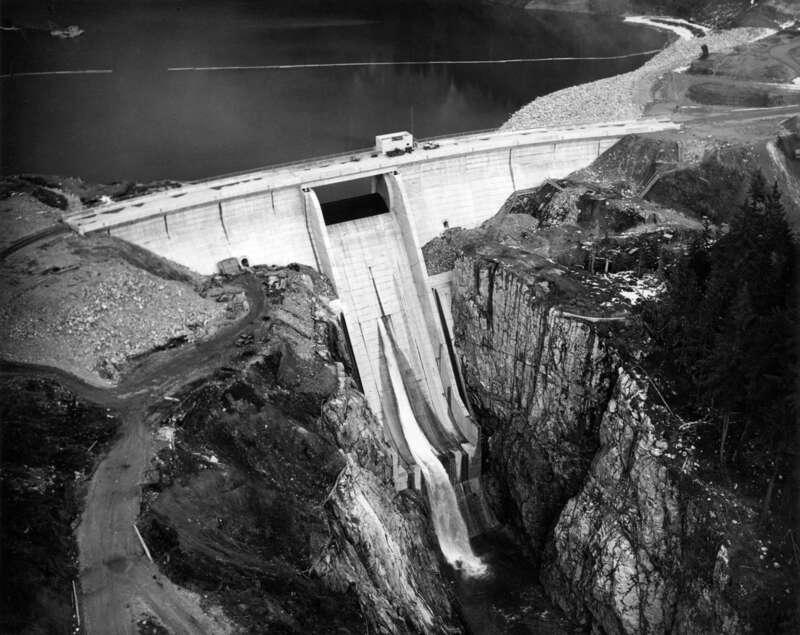 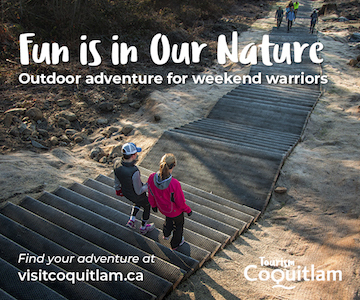 Completed in 1954, it was named for Ernest Cleveland, first chief commissioner of the Greater Vancouver Water District. 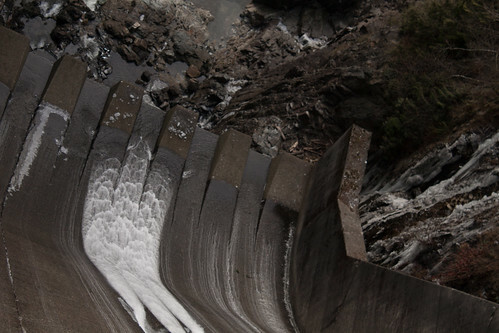 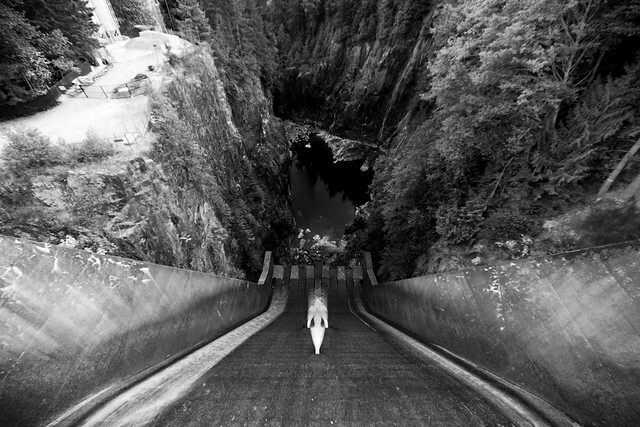 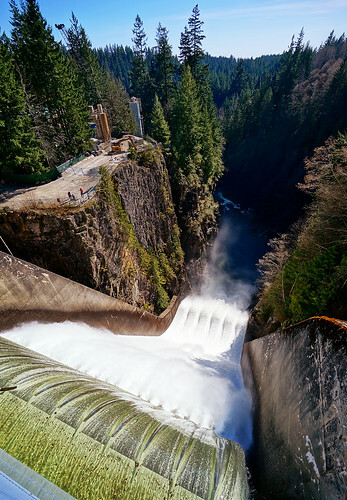 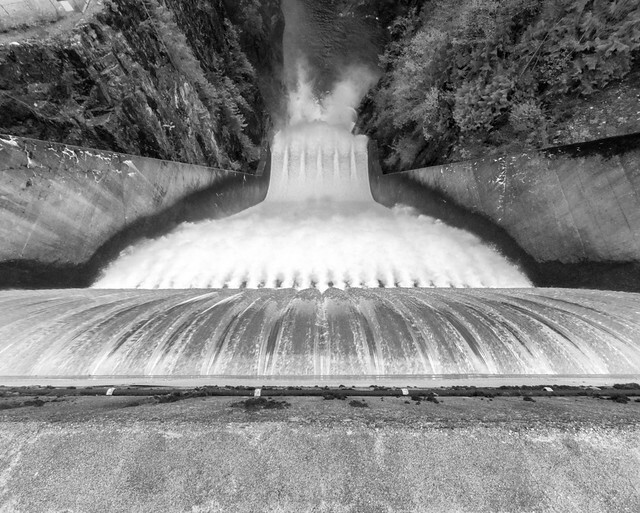 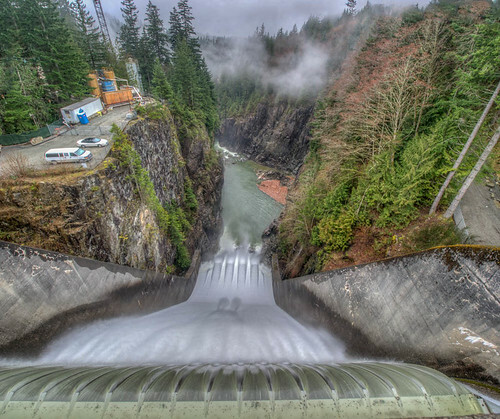 Local photographers love peeking over the edge of the dam to snap vertigo-inducing images, making the Cleveland Dam today’s Vancouver Icons photo feature. 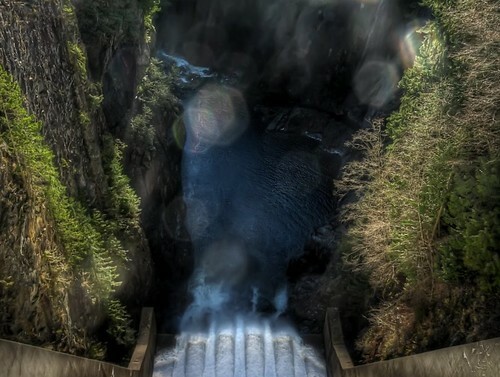 Also see my Capilano Lake Vancouver Icon feature for more photos of the park and surrounding area. 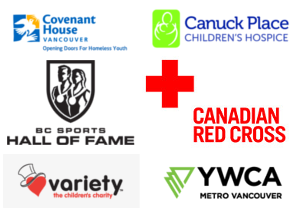 Previous Vancouver Icons posts: Heritage Hall, School of Theology Building at UBC, Gate to the Northwest Passage, St Paul’s Hospital, Capilano Lake, Stawamus Chief, Nine O’Clock Gun, Malkin Bowl, Search, Vancouver Rowing Club, Echoes, Point Atkinson Lighthouse, English Bay Inukshuk, Hollow Tree, Hotel Europe, Lions Gate Bridge Lions, LightShed, Granville Bridge, 217.5 Arc x 13′, Canoe Bridge, Vancouver Block, Bloedel Conservatory, Centennial Rocket, Canada Place, Old Courthouse/Vancouver Art Gallery, Dominion Building, Science World, Gastown Steam Clock, SFU Burnaby, Commodore Lanes, Siwash Rock, Kitsilano Pool, White Rock Pier, Main Post Office, Planetarium Building, Lord Stanley Statue, Vancouver Library Central Branch, Victory Square, Digital Orca, The Crab Sculpture, Girl in Wetsuit, The Sun Tower, The Hotel Vancouver, The Gassy Jack Statue, The Marine Building, and The Angel of Victory. 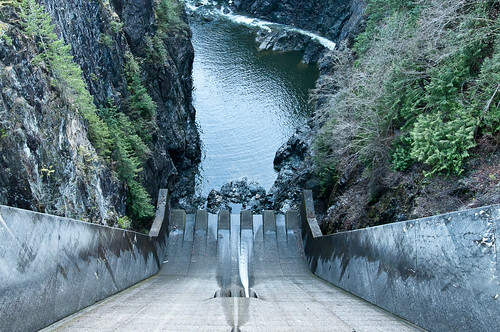 Should you have a suggestion for the Vancouver Icons series please feel free to leave a note in the comments. 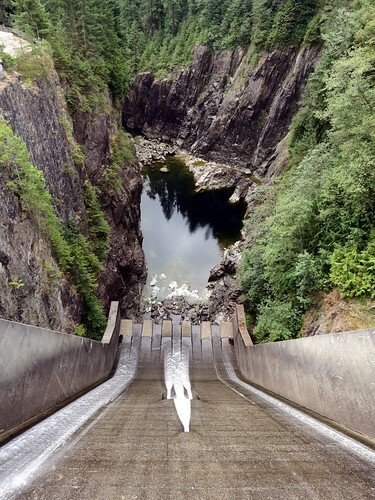 It should be a thing, statue, or place that is very visible and recognizable to the public.